Historians of Russia like to take a long view. Some of the leading scholars of the Russian past have traced an interpretive line to link many centuries. They cautiously suggest that aspects of today have been created by a million yesterdays. Has 2015, then, been the product of the Russian longue durée? Let’s look at three things that happened in 2015: the bombing of Syria, price rises for public transport, and the troubles of the massive oil company, Rosneft. Russia’s intervention in Syria plainly owes a great deal to decades of Soviet policymaking on the Middle East. But can it also be explained by angry Russian nationalism? Geoffrey Hosking’s long-range explanation of Russian history would suggest not. 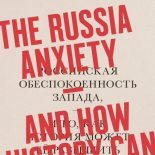 For Hosking, one of the best ways to understand Russia’s historical development is in terms of the fraught relationship between nation and empire. The uneasy and confusing overlap between the Russian nation and the Russian empire has often weakened Russian national feeling and diluted national identity. Following Hosking, it seems unlikely that the ubiquitous slogans about nation and state in present-day Russian political culture have a very deep purchase on most people’s imaginations. Probably. In August, residents of Moscow Region, the provincial state territory that surrounds the capital, lost the right to make reduced or zero payments for tickets on the city’s public transport system. It was just another minor reform that loosened the grip of the Soviet welfare system. More generally, living standards drop and economic uncertainty rises. Who suffers? For Alexander Etkind, the elite historically feeds off the people. The growth of the Russian empire over several centuries was a process of ‘internal colonization’. Tsar and government deployed on their own lands and peoples the violent imperial technologies that Western European states inflicted on overseas colonies. And today? One assumes that most of the Russian governing elite is insulated from sanctions and economic distress, and that it makes decisions about economic and social policy accordingly. But that in itself does not exactly make Russia unique. Swallowing competitors, slaying rival giants, oil titan Rosneft has grown dramatically since the early 2000s. Formally in state hands and led by Igor Sechin, a long-time close comrade of President Putin, its status is privileged and its ownership not always clear. Historian Richard Pipes would not be surprised. In a career defined by big arguments, his biggest is that patrimonialism explains Russian history. This means that over hundreds of years, the Tsar owned what was inside his realm. Pipes hints that one could make a similar point about the Soviet Communist Party and the post-Soviet government. So what about Rosneft? With tumbling oil prices, it made the case for a forty billion dollar bailout in the summer. Even with Putin’s close ally in charge, it failed. Rosneft looks like patrimonialism in action — apart from when it doesn’t. Long-term models of Russian history throw light on each of these problems. But they certainly can’t explain them outright. Historians can predict the future no better than the next person. They can hint instead at the likely constraints under which events might develop. Thankfully, the past does not create the future. For Russia, that should be a perennial cause of optimism, and a reason to say s nastupaiushchim, have a good one. History can’t stop 2016 from being better than the year that’s gone. This entry was posted on December 31, 2015 by beyondthekremlin in Russia past and present and tagged historians, Russia today.